COROZAL TOWN, Corozal District, Tues. Nov. 21, 2017–While many spent Sunday, November 19, celebrating the settlement of the Garinagu in Belize, Corozal resident Brenda Jandrez, 22, took her last breath of life. Jandrez was shot once in her stomach at around 8 o’clock on Wednesday, November 1, while lying in her bed with her boyfriend at her home on Mahogany Street in Corozal Town. An armed assailant had pushed his hand through her window and fired a single shot. 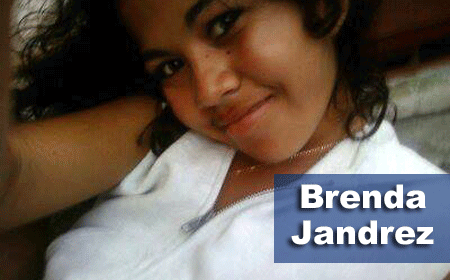 Jandrez was rushed to the Corozal Community Hospital, and later transported to the Northern Regional Hospital in Orange Walk Town and thereafter to the Karl Heusner Memorial Hospital (KHMH), where she had been fighting for her life for 18 days. Information to Amandala is that her internal organs had collapsed after initially being ruptured by the bullet. According to reliable information, the shooting was connected to threats she had received the day before being shot because she had refused to provide an alibi for a man who had been accused of murder. Today, Assistant Commissioner of Police (ACP) Joseph Myvett told the press that when Jandrez had been shot, two persons had been detained for questioning, but those persons had been released and are now being sought again for further information.